Many board games involve rolling and reading dice. For people living with dementia that are experiencing various cognitive, physical and visual difficulties this is often a challenge. 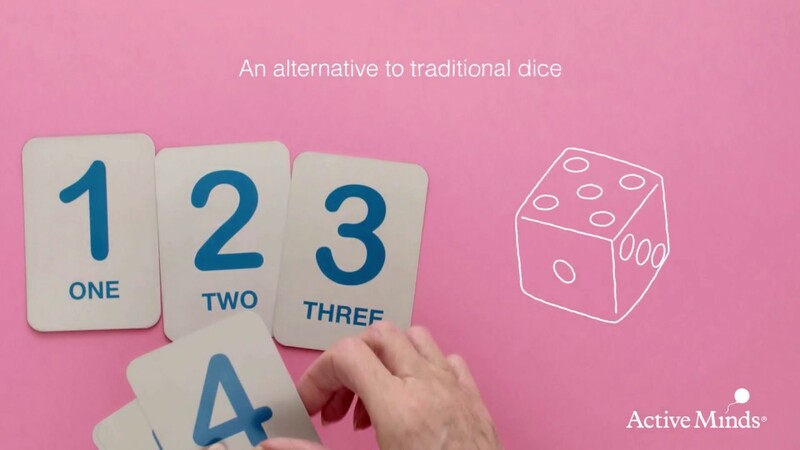 Active Minds Dice Cards offer a more accessible alternative which can be applied to any board game. Simply show the cards face side down and allow the person to pick one, turn the card over and that’s their number. Dice Cards are easier to read and less likely to roll off the table and under a chair!